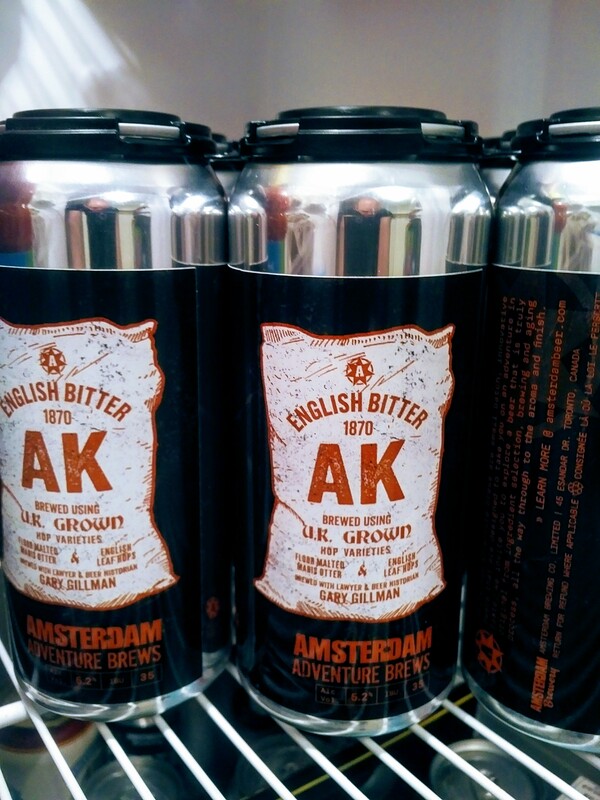 Last night Amsterdam Brewery released the 1870 AK brewed as a collaboration with me. It’s a limited run, part of the brewery’s Adventure Brews series. The beer is available at Amsterdam restaurant bars currently in “keg” form, and in cans at the retail shop in the main brewery in Leaside. Last night the beer was available in cask form, served by thumb tap straight from a spiled cask (no handpump), and in keg form. The reception was held in the main cocktail area of Amsterdam Brewhouse and Restaurant on Laird Street. Despite the area being quite spacious it was full-up without being crowded. As I’ve discussed technical aspects of the beer in earlier posts, I’ll focus here on palate. Despite the large amount of leaf hops used, the beer was not overwhelming bitter. I think the palate softened down through many weeks aging, or “keeping” in older terminology. The reasons for this in my view are, the relatively short boiling time (one hour), the relatively low alpha acid values of the English hops used compared to many varieties today, and the multi-stage addition of the hops. Had they all been added at the beginning of the boil stage, for example, or the boil increased by 50% or 100%, the bitterness factor probably would have been more pronounced. 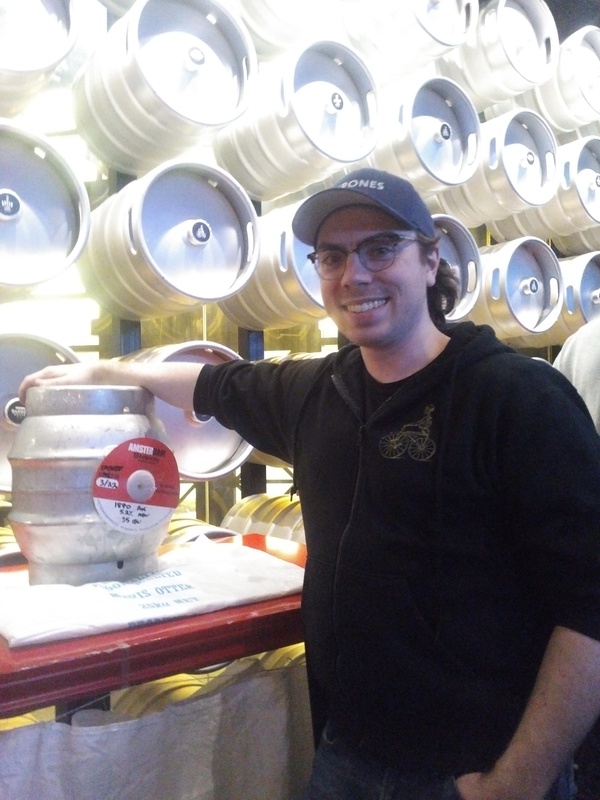 Even with Fuggles dry-hopping – the keg received one week’s treatment in the dish-bottomed conditioning tank – the beer, while full of English hop character, showed an integrated palate. The hops and malt interleaved to create a kind of unity. The keg version seemed a touch more hop-forward, tending more to IPA as one brewer put it. The canned will be similar to the keg. This may be down to the different contact of the hops and beer in both forms, or perhaps too the sugar priming added to the cask. All this said, I didn’t find the two forms that different. If anyone lets the keg or canned version warm up and decarbonate, they will be very similar. Finings were not used for the cask-conditioned form, hence a turbid look but it didn’t taste “yeasty” at all. The quality of the hops and malt came through strongly which was one of the goals of the brewing. As a 5.2% beer, it suited perfectly a reception that lasted two hours. Had it been a c. 7% IPA the beer would have intoxicated too fast over that time. Being a medium-gravity style, it worked perfectly to refresh or for a session, just as it would have in the pub or household of the 1800s. The main difference with modern English bitter was not having the toffee-sweetish edge of caramel malt, and being (certainly) more hoppy in total character. 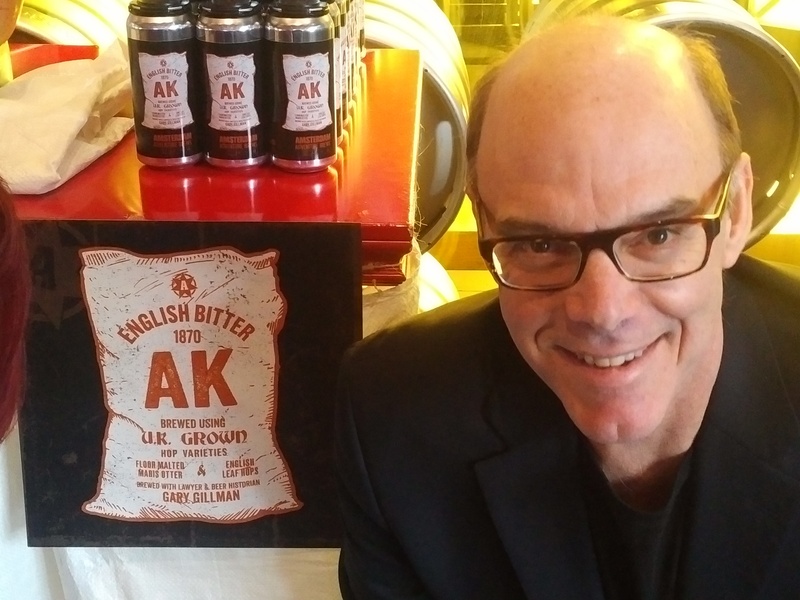 In this respect, 1870 AK reminded me of American pale ales and IPAs that don’t use crystal malt, not used in English brewing in the period in question. Was it radically different to any other beer I’ve ever had? Not at all, nor could that be expected as it is brewed today of course with ingredients of today albeit selected for their traditional character. It reminded me of some bitters first encountered on English visits in the 1980s, especially Young’s bitter in London, and of other beers I remember from the U.K. trips. Some of our brewers who focus on English styles, e.g. 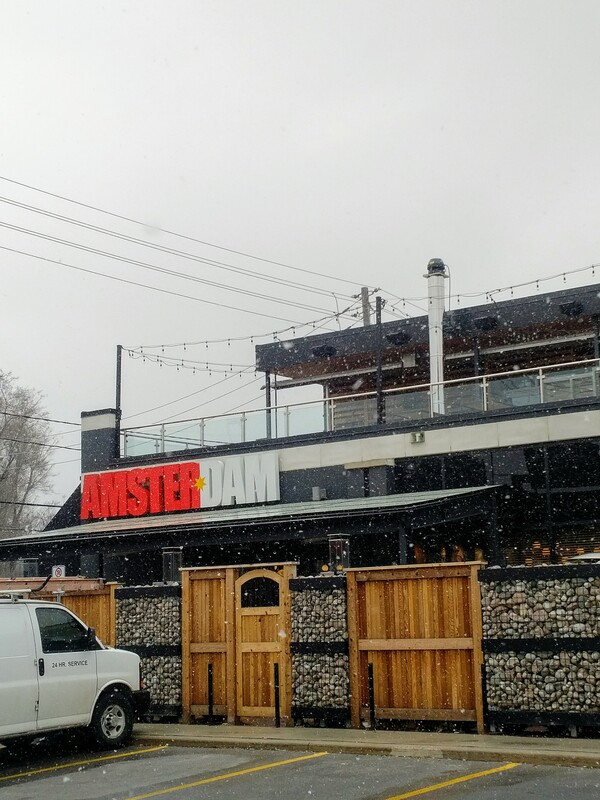 Granite brewpub in Toronto, make beers on a similar vector. But this is the value of historical recreation, it shows the differences and continuities. One experienced taster said the beer had a “rustic” quality, one he thought came from the single floor-malt used. I agree with that. Although it did not taste at all like a Belgian or modern farmhouse beer or a craft cider, it reminded me that type of beverage: honest, nothing fussed over, clean, natural. This style must have been a staple of many village public houses back in the day. Indeed despite a few large glasses the head is clear as a bell today, due to that honesty of character I think and, to the extent we could achieve it, lack of processing. I’l try it as the weeks go forward at the Amsterdam bars, and see how it tastes in the cans I have particularly when it falls bright (or brighter). Many thanks again to Amsterdam and especially Iain McOustra and Cody Noland (pictured) of the company’s brewing team for their dedication and skill to bring this special release to market. Congratulations on bringing this to fruition. I’m just trying the beer now (my bad for not hearing about it until a couple of days ago) and it is good. It reminds me strongly of an old favourite — “Charlie” as served in the 1990s at The Bow & Arrow pub (now the Wallace), i.e the original Macleans Pale Ale of the F&M Brewery. Did anyone else bring up this comparison, out of curiosity? Thanks Scott for this feedback. Nice to hear from you. (I wanted to ask you to the release party but lost track of your e-mail address). I had not heard this comparison before. I’ve had Charles’ beers off and on over the years (always very good) but can’t say one really reminded me of the 1870 AK. The best comparisons I can think of are some English bitters on my earliest trips there over 30 years ago, but also some batches of Granite IPA (makes sense – the Keefes studied brewing in England under the Ringwood system) and, I’ll test your memory here, a beer that I think was called Sgt Major IPA, made long ago in Newmarket. I think it’s the Goldings that is the common thread, a very distinctive hop. But glad you enjoyed it. I like it on the warmish side as the full taste comes out.